The 1930s was a heady time for artists in America. Through President Franklin Roosevelt’s New Deal programs, the federal government paid them to paint and sculpt and urged them to look to the nation’s land and people for their subjects. For the next decade—until World War II brought support to a halt—the country’s artists captured the beauty of the countryside, the industry of America’s working people, and a sense of community shared in towns large and small in spite of the Great Depression. 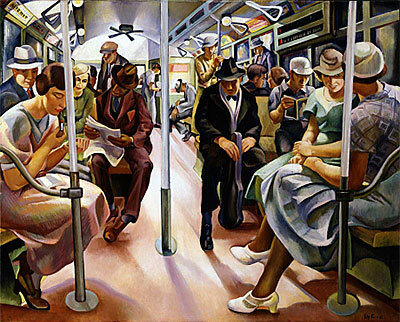 Many of the paintings in Experience America were created in 1934 for a pilot program designed to put artists to work, others under the auspices of the WPA that followed. The thousands of paintings, sculpture, and murals placed in schools, post offices, and other public buildings stand as a testimony to the resilience of Americans during one of the most difficult periods of our history.